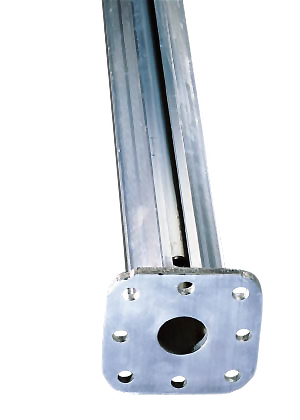 MEP props can be used individually or as part of a shoring system. The MEP series galvanised props have been designed and manufactured under stringent controls which comply to Australian standards. The are designed to have the same load-bearing capacity at all extensions – so there is no need to consult tables. The MEP prop is a combination of steel inner tube and aluminium outer tube with T-groove to attach reinforcing frames. The SAS quick-lowering system allows the stress in the prop to be released with one strike of a hammer. The SAS automatically resets after stripping.